Here at Orbis Engineering Services, we are specialist EV Charging Installers and are accredited by the OLEV Grant (the Office of Low Emission Vehicles) to access the Electrical Vehicle Home-charge funding schemes. This means we can claim back up to 75% of the installation cost for eligible customers! Today, we are all becoming increasingly aware of the negative impacts that our actions are having on the environment and this is especially clear through the rising popularity of electric cars. Here at Orbis Engineering, we are not at all surprised by the sudden popularity as electric cars help to reduce greenhouse gas emissions and air pollution on our roads. Using EV charging is also a much more convenient method of keeping a vehicle on the road. Once home, it takes seconds to plug your vehicle in and then you simply leave it to charge over night or whilst the vehicle is out of use. When ready to use your vehicle it simply takes seconds to unplug. EV charging really couldn’t be easier! 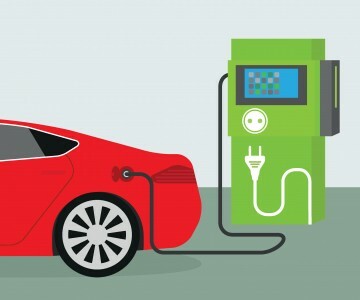 Find Out More From About EV Charging Today! If you are interested in using our services as an EV Charging Installer, please do not hesitate to get in touch today! A member of our friendly and expert team will be more than happy to help and will answer any questions that you may have. You can also fill in our online enquiry form here.